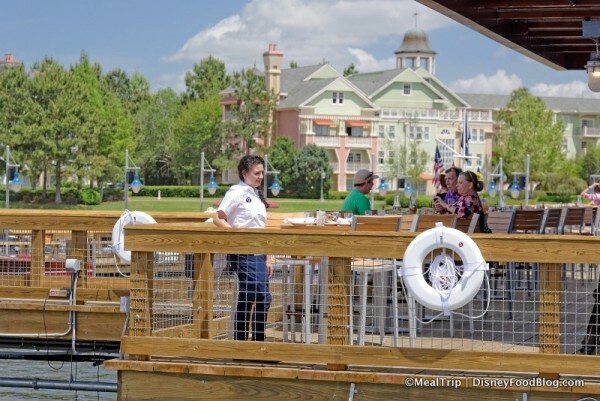 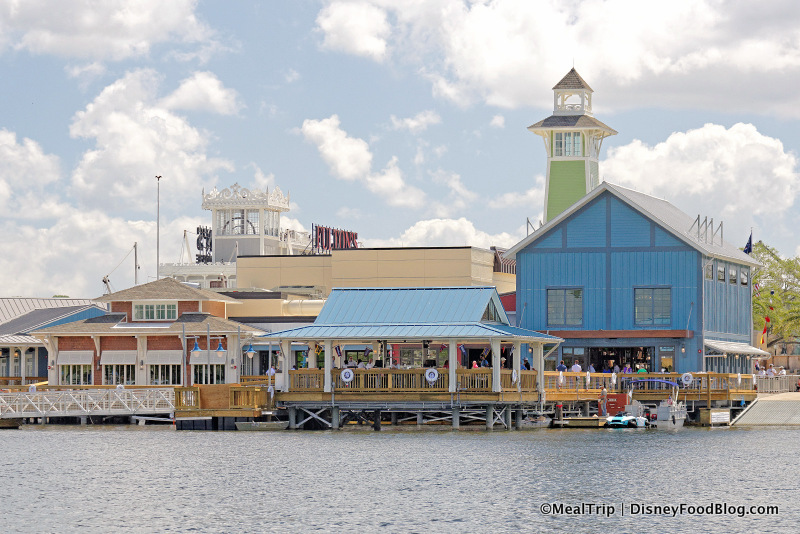 Downtown Disney’s newest eatery, The Boathouse, is set to begin soft openings this Monday, April 13th! 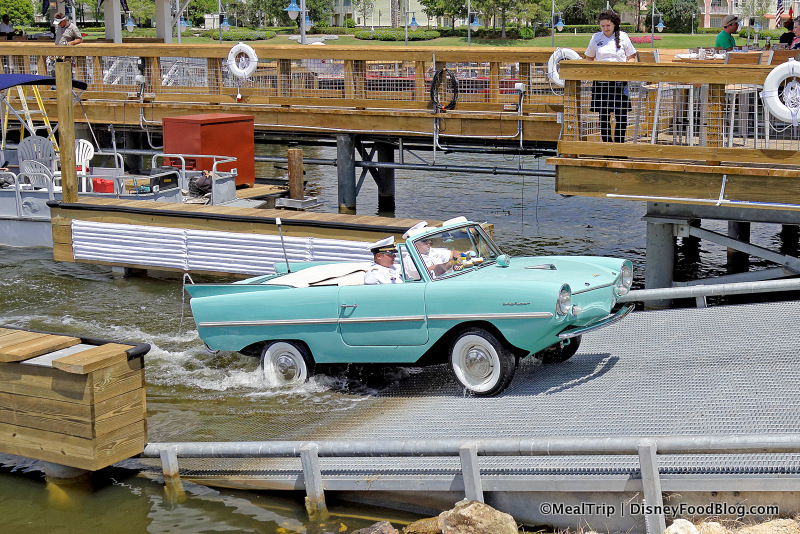 We’d love to give you a sneak peek — thanks to our great friend, MealTrip — at some of the fun from a recent invite-only dress rehearsal for the spot, featuring the highly anticipated Amphicars that will be a part of the entertainment at this unique establishment. Check this out!! 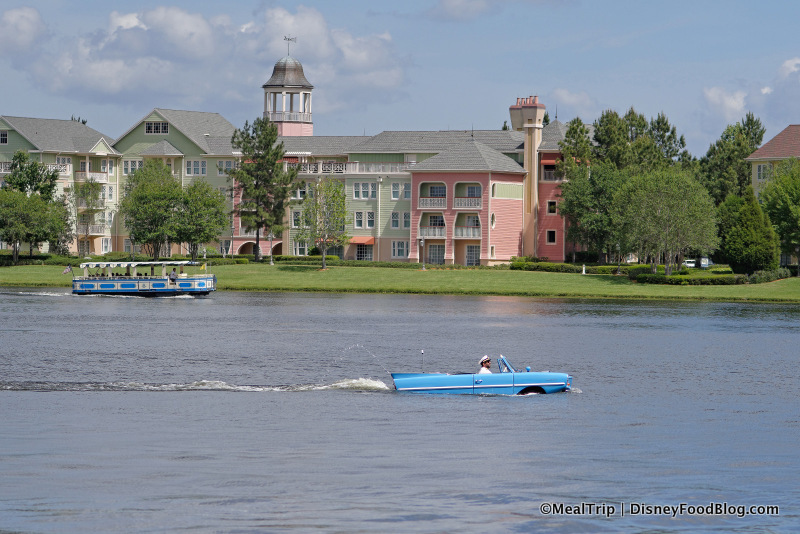 It took me a couple of minutes to realize I was actually looking at a CAR in the WATER!!!! 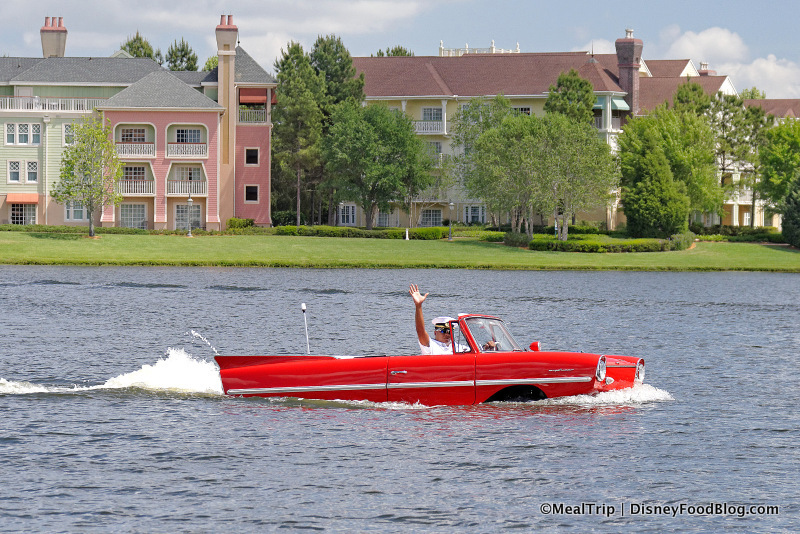 The Captains appeared to be having a blast giving them a go. 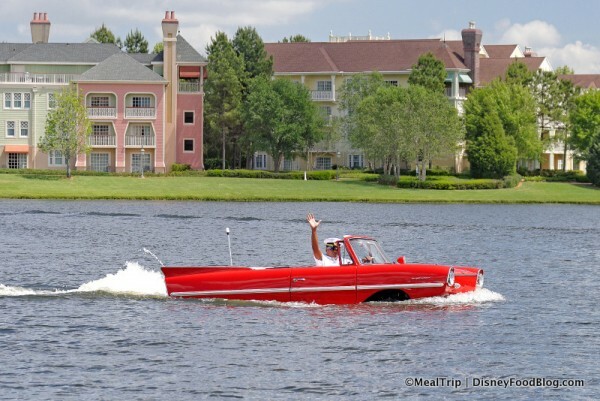 How much fun are these?!? 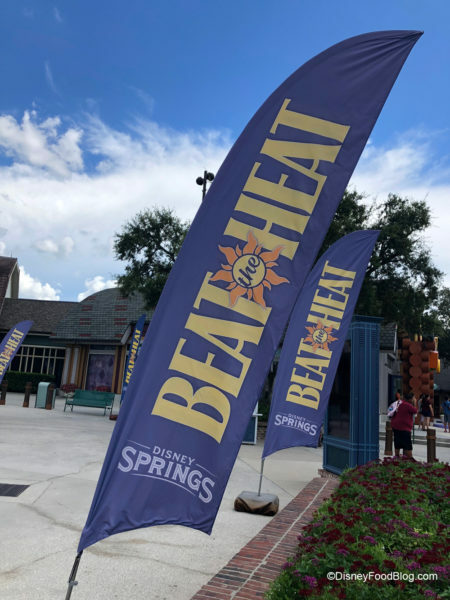 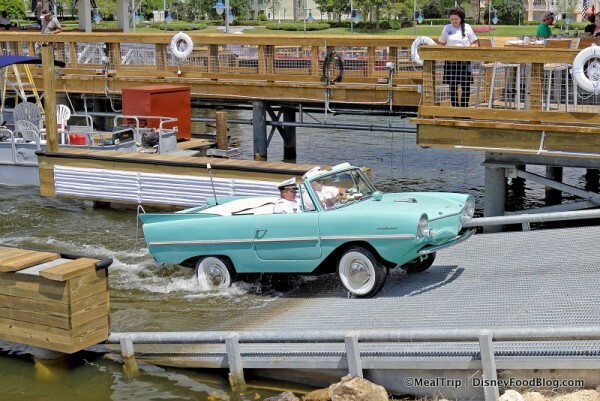 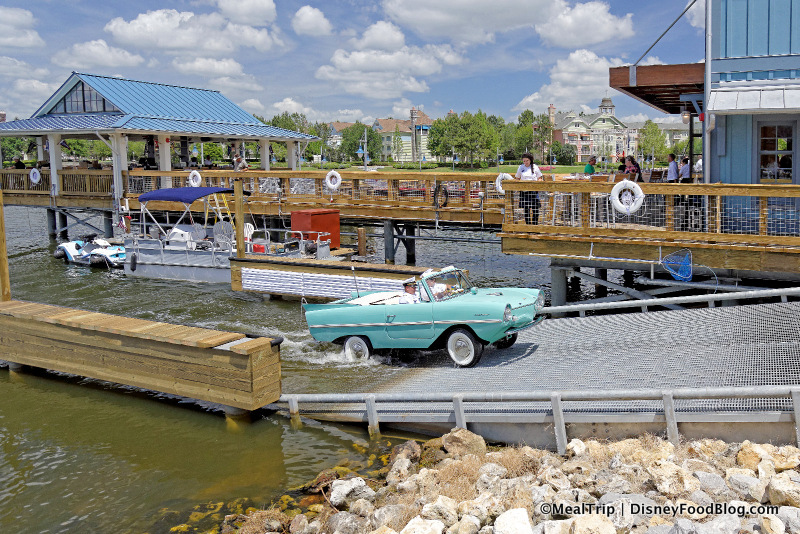 Once available, Amphicar Tours are rumored to cost $100 for a 20 minute ride around the lake, taking in the sights of what will someday be Disney Springs.